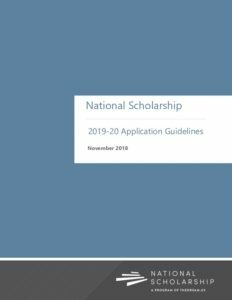 The application for the 2018-2019 College Scholarship Program is now closed. Final notifications will be sent via email late April 2018. If you have not received a notification email by May 1, please check your spam filters. If you do not have an email, please contact us at [email protected] or call us at 1-855-670-4787. You will provide us with the same personal information that you include in most of your college applications. Meet each of the DACA immigration eligibility criteria and you will apply for lawful presence or lawful status as soon as you are legally able to do and provide any requested data to confirm your eligibility.